There are total 51 shakti peetha temples are located in Indian Sub-Continent and Three and a half Shakti Peethas are situated in Maharashtra, Saptashrungi, Mahurgarh, Tulja Bhawani and Kolhapur Mahalaxmi. There are so many famous devi temples in Maharashtra such as Bhadrakali Temple Nashik,Bhavani Mata Temple Pratapgarh,Shree Jogeshwari Devi Mandir and Koradi Mandir Nagpur. 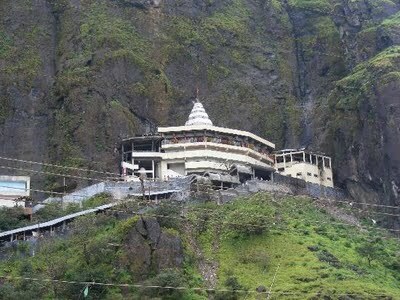 Saptashrungi Devi Temple is situated at a distance of 60 km from Nashik and one of the most visited and religious place in India. The temple is popularly known as one of the Three and half Shakti Peethas of Maharashtra. 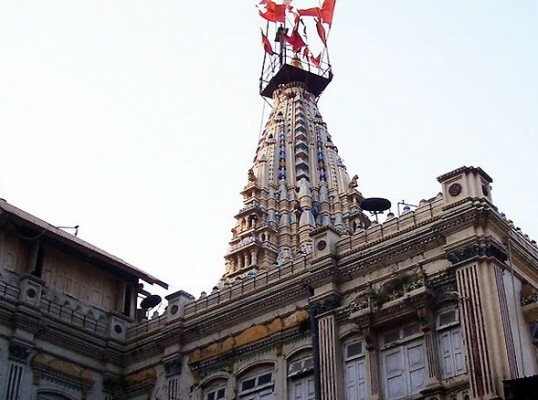 Mumba Devi Temple of Mumbai is one of the popular tourist destinations in the city. The temple is dedicated to city’s patron Goddess Mumba,local incarnation of the Devi. 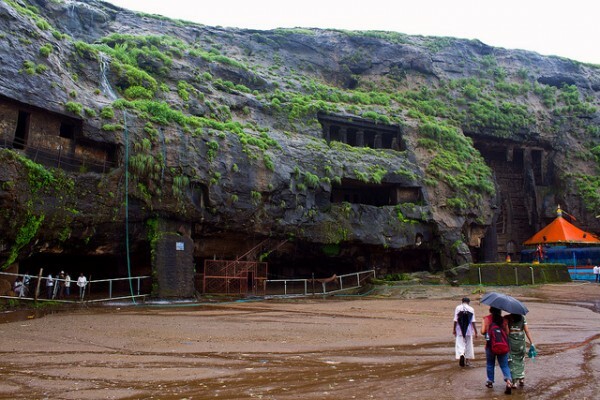 Ekvira Aai Mandir is located near the Karla Caves near Lonavala,worship by the Aagri-Koli People. The temple is located on a hill top with around 500 steps and surrounded by Karla caves. Mahur is famous for Renuka Devi temple, one of the Shakti pith among the three and half Shakti Pith in Maharashtra. There are many other temples in Mahur like Anusaya Temple and Kalika Temple. Tulja Bhavani Temple is a pilgrim centre,situated 45 km from Solapur and is considered as one of the 51 Shakti Pithas. Bhavani temple in Tuljapur is located on a hill known as Yamunachala on the slopes of the Sahayadri range. 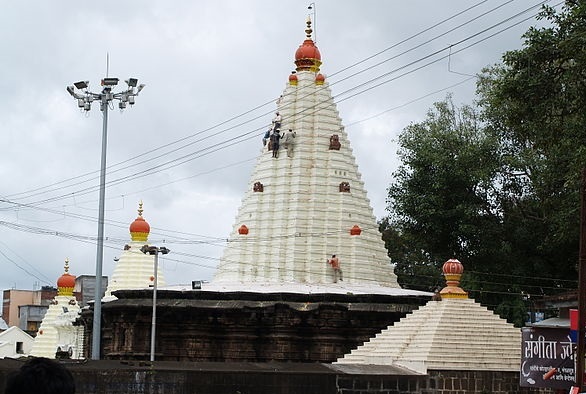 Mahalakshmi Temple of Kolhapur is also called Dakshin Kashi and is one of the 51 Shakti Peethas of India. The Kolhapureshwari temple is also reverred as Shri Peetham,devoted to the Goddess of prosperity Mahalaxmi also called as Goddess Amba Bai. Chaturshringi Temple is one of the famous temple in the city of Pune,located on the slope of a hill on Senapati Bapat Road. The Chaturshringi temple is 90 feet high and 125 feet wide and is a symbol of power and faith. Vajreshwari Yogini Devi Mandir is located 75 km away from Mumbai, dedicated to the goddess Vajreshwari. The temple celebrates Navaratri festial, nine nights dedicated to worship of Hindu Goddesses and a huge fair take place in honor of Goddess. 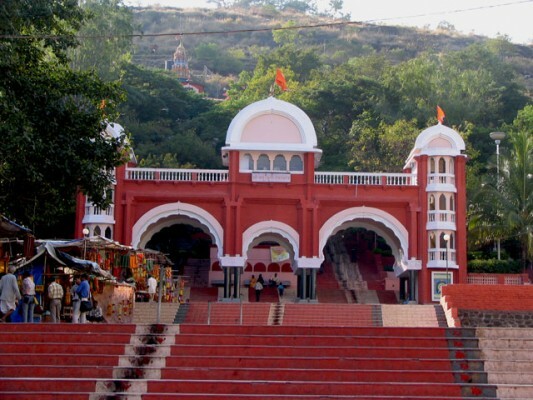 Mandhardevi Kalubai temple is located on a hill 4,650 feet above in Wai region of Satara District. The temple is popular among Hindus and annual Kalubai Jatra pilgrimage take place every year in January month.